Buy directly on the site! Yoga way to health in all senses. You are an beginner interested in self-development, if you are old and trained in experience and life, if you practices power and fighting disciplines. Looking for themselves and not wishing harm. Raise your practice to an unprecedented level & increase your opportunities! The history of practice on nails starts from the ancient Indian line Saddhu, yogi-ascetics, practitioners of Sadhana (spiritual discipline). Yogadesc - Iindividual "subject of power" helping to achieve results. THE BOARD WITH NAILS IS THE BEST UNUSUAL GIFT! Give your studies a new wave, will be on the front line in a new yoga trend. 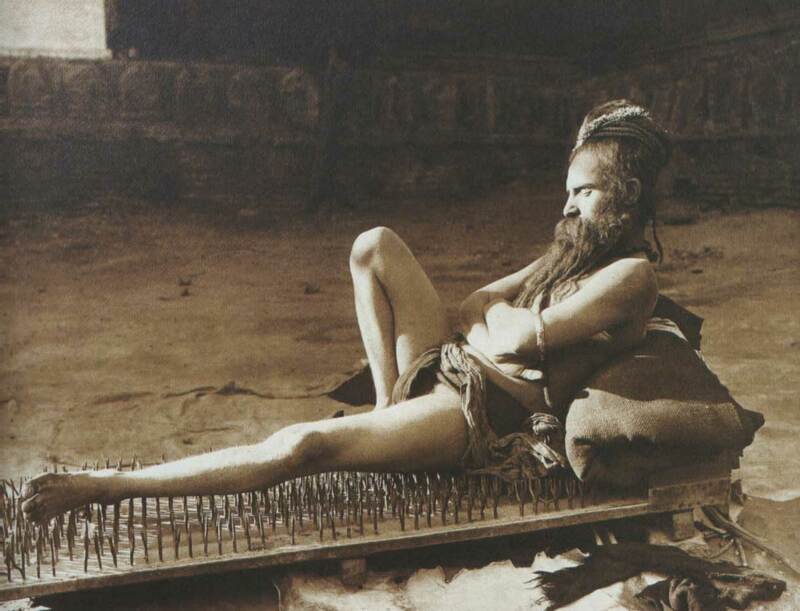 New trend among fans of risk – Board yoga with nails, or as they are called in another way, boards of a sadhu. YogaDesc now heads the ranking of the most extreme gifts for birthday, regardless of gender, age and physical fitness. With regard to the overall Nailsboard impact on the body - body well coached will be power and endurance. It is necessary to mention also health benefits. Iin the feet there are many reflex points will help to improve the metabolism, relieve insomnia and headaches, will give vivacity and will have a relaxing effect on the muscles of the whole body. In consequence of constant practice on the Nailsboard - consciousness expands, health improves, stamina increases, resistance to stressful environments, comes a feeling of General satisfaction. Therefore extreme an unusual gift not only safe, but also useful, and replace a full-fledged sports training. 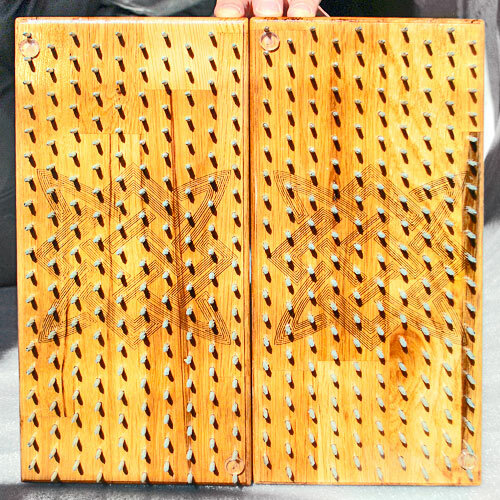 A yoga-board with nails better to buy at authorized workshop, including – place your order online on this website. The Board with nails is a good gift for the athlete on the day of birth. Especially someone who prefers to train at home. After a good weight training 10-15 minutes of lying on the Board will help to relieve muscle tension, to relax, to feel a surge of strength. Muscles will recover faster, and the feeling after exercising becomes more enjoyable. To feel new practice will be interesting for every athlete, lover of unusual experiences and a venturesome person. Board a sadhu is not just a device to exercise willpower, but a tool to improve the physical condition of the body. During the standing on nails improves blood circulation and the body warmed up. In addition, the General surge of strength will help with a lot of enthusiasm to perform all the necessary strength exercises. Finish your workout it is recommended that the stretching & massage. The Main thing to consider when choosing such a gift – its quality, because to the medical Board with nails was really therapeutic, it needs to be very carefully and professionally done. Accurate calculation of the distance between the nails, absolutely equal and identical galvanized nails, firmly planted on the Board – that's exactly the option that will make the gift healthy. 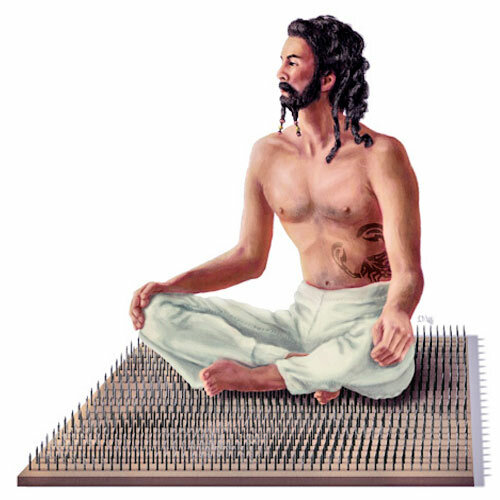 In our time gains momentum the popularity of the "new" yoga practice – standing or lying down on a bed of nails. Such a gift to yoga will delight the new owner, regardless of he does for several years or have just decided to learn a new activity. gift for iogannoviches will appeal to the boards with nails sadhu for standing and lying. You can use them for endurance training and power of the spirit, for the spirit of the practice of asanas, and in the morning awakens the complex. Advanced yoga can improve the technique of meditation to expand consciousness and Express their personal and creative potential. 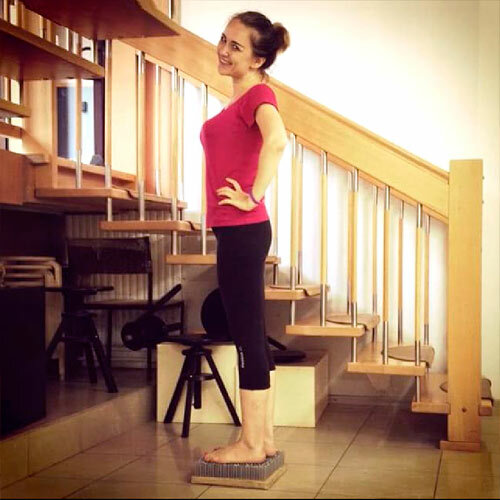 Very important to work in a good mood, freeing your mind of all thoughts (or, at least, thinking only of the good) and keeping the smile on her face :) Regular standing on nails has a complex effect on the body. Pressure on biologically active points, responsible for the activities of certain organs of the body, stimulates metabolism, promotes rejuvenation and immunity. Yogadesc not change, but enhances your current emotional state. If you need further incentive to relax, it's good to use music or incense. With proper exercise Board with nails will improve overall body tone. It can be used in parallel with other yoga practices or as an independent trainer. The ability to achieve goals, willpower, endurance – these are the traits that are valued in humans. And there is a very real simulator that allows you to quickly and effectively improve these qualities. It is very easy to use, and at first glance, there is nothing complicated, but the effect of exercise – impressive! We are talking about the Nailsbed - extreme and amazing gift, the device for training the body and spirit. Effect will be noticeable after the first use it takes only 10 min to feel warm all over, energized, and pleasant cheerfulness. People, who lead an active lifestyle, a Yogadesc will help to relieve physical fatigue at the end of a hard day, provide a good restorative sleep and complete relaxation. Magical effect of nails on the entire body is that yoga-board is putting pressure on the acupuncture points of the feet. Each of these points is connected with the activity of an organ, and this kind of massage stimulates its activity. A special convenience is that the Nailsbed – effective integrated simulator. You can use it any time – morning or evening, anywhere – at home, in the office or in the gym. 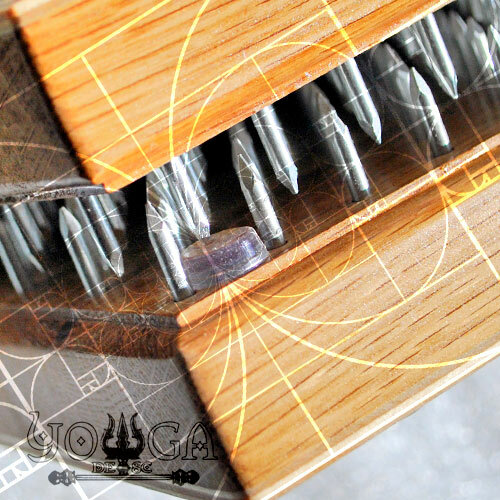 Design, and varnish, and materials, and evenly carefully set nails. Beautiful and safe for health. Versatile and light-weight set of boards. For users of any age and degree of preparation. The best choice for everyone. Free delivery! Board as a gift and for regular practitioners. Accurate assembly, brilliant processing and beautiful thin pattern. Perfect option! Free delivery! Health Simulator. Engraving medical symbols on harmonious proportions. Milling, reduced step nails for lightweight standing and healing lying on nails. Your body is only the outer shell, and the possibility of "I" is limitless. People of different ages, physical fitness and complexion get up on nails from the first time. 2. 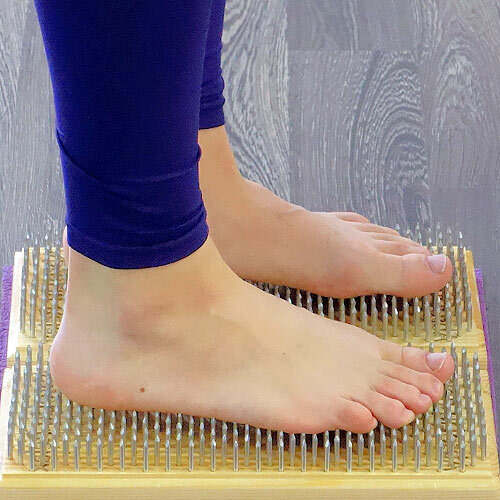 Stand with your bare feet on the board with nails. It's better if someone helps you get up, holding hands. You can stand alone, holding on to some support (table, wall). 3. The tongue is pressed to the upper palate, relax and adjust for a long stay on the board. 4. With a glance, fix an arbitrary point in front of you. Concentrate. You need to start gradually. Listening to yourself, finish the time of standing up to 2 minutes. You can feel the effect from the first time, but serious changes and realization of intention will begin from the second minute of standing. • Super-effect from the very first time! • Just 15 minutes of practice per day is enough to achieve a full effect! Standing / lying on nails - powerful multifunctional practices, Therapeutic effect on the whole organism. This is the perfect way to awaken Kundalini, strengthen excerpt, improve health, clear the mind and temper the will. 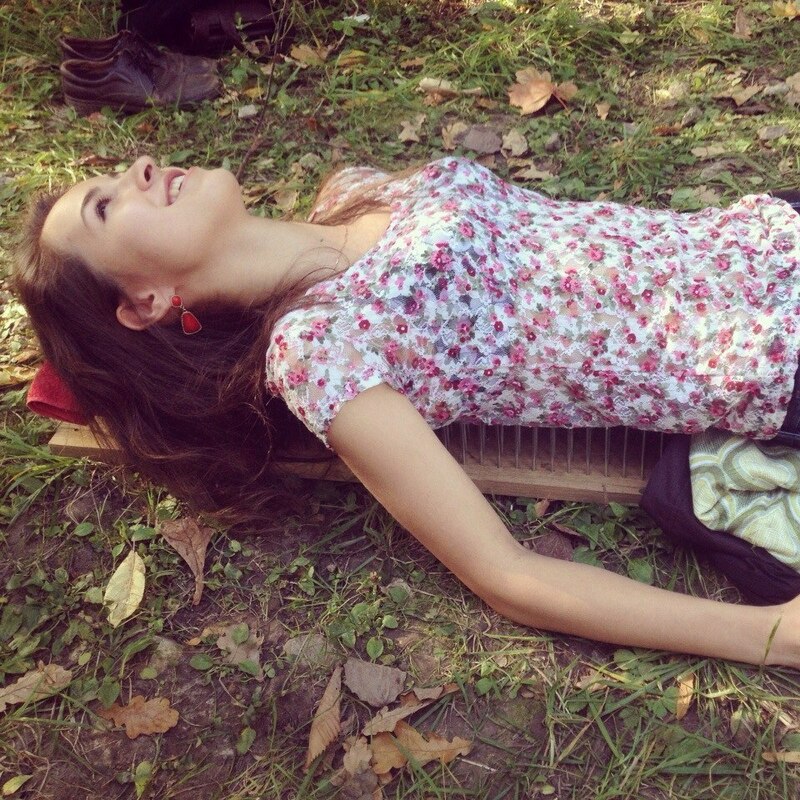 Lie down on nails carefully. First it is necessary to place a stand near the board with a height corresponding to the level of the tips of the nails. She needs to sit down, and then lie back, leaning on her elbows. The assistant should supervise, that the last row of nails was on a back, instead of on a neck. A pillow should be placed under your head. It is recommended to use other elements in practice: air, water, stones, sound atmosphere. • On the footsteps & on the spine there are dozens of acupuncture points, associated with all the organs and functions of the physical body. • Exposure to these points stimulates blood flow and exchange-improving processes of the body. 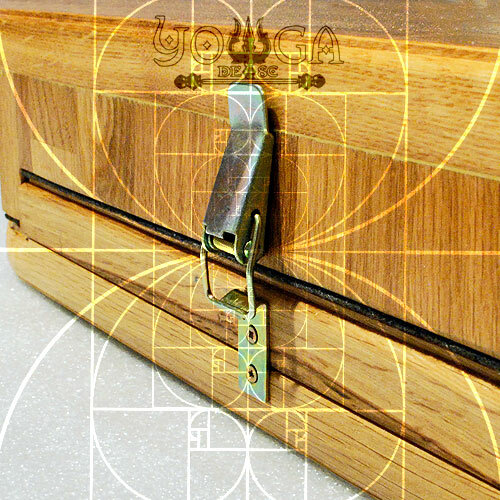 All dimensions of the boards are calculated according to the parameters of the golden section! Products are made with good intentions and love. 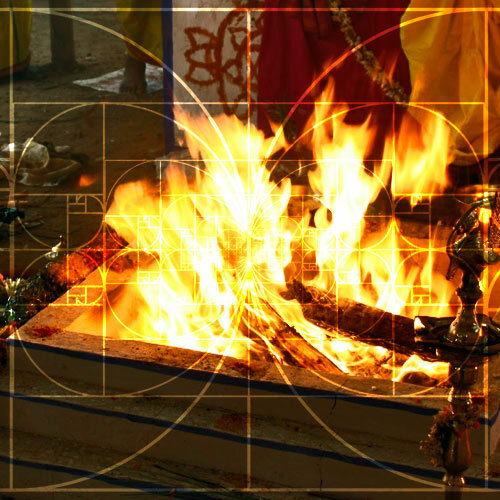 Yogadesc simulators activate the element Agni. 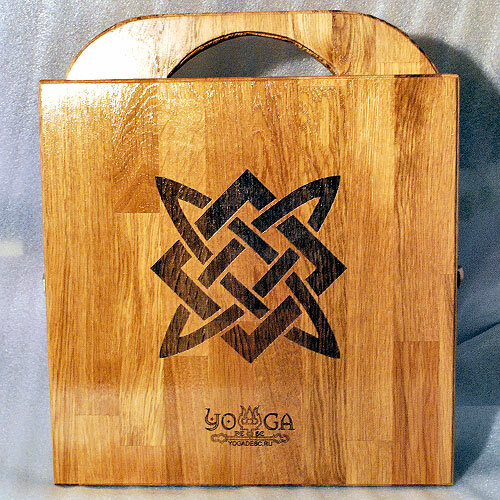 Made only from natural wood! Proven galvanized nails are used. Each of the boards is covered with three layers of a special varnish to prevent deformation of the tree. No plywood, No glue! In the hands of the board on the sensation is polished, smooth, strong and durable.Your view will mark the beauty and precision of each board. The most compact and optimal boards that can be developed! Professional yoga props workshop. We manufacture and sell premium fitness equipment for yoga, sports and fitness! It is a powerful yoga practice that establishes the spirit of dictatorship from the mental side, and revitalizes the physical body because of the action on the marma point on the legs.